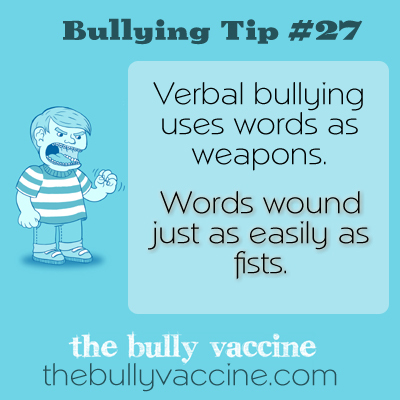 Verbal bullying uses words as weapons. 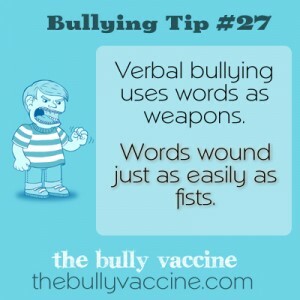 Words wound just as easily as fists. Verbal bullying is designed to denigrate and subjugate the victim. Don’t give a bully power over you. You are better than they are. (The three ways to heal your heart are: compassion, moral compass, support).